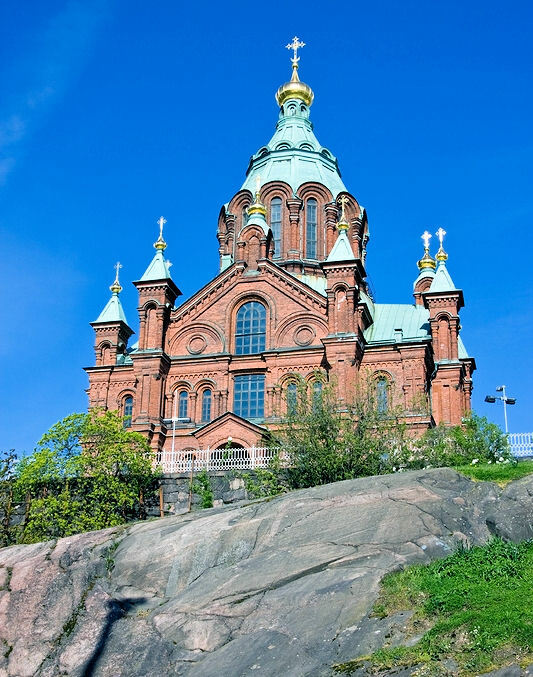 Your historical journey starts as we pass by the Helsinki shipyard, where many of the cruisers have been constructed; Market Square; Embassy Park; have a look over the sea to the Suomenlinna fortress; Orthodox Uspenski Cathedral - the largest Orthodox Church in Western Europe, and the Presidential Palace. We will make a short stop at Senate Square – undoubtedly one of the most beautiful urban squares in the world. After leaving the city on the coastal road, you will arrive at Porvoo the second-oldest city in Finland in approximately 45 minutes. Experience a delightful sightseeing tour of this medieval wooden town, seeing many of its lovely majestic buildings, including the medieval Cathedral and the wooden waterfront storehouses by the Porvoo River. Experience a walk on the cobblestone streets of the old quarter, with its multi-colored ancient wooden houses. There is ample free time in Porvoo for shopping in the handicraft shops. The grand finale of the tour includes a visit to the Olympic Stadium, which staged the 1952 Summer Olympics, Finlandia Hall, the National Museum, Parliament building and the Rock Church dug into the bedrock once barred by the Ice Age. From the last “must-see” sight we return to the ship. Wear comfortable walking shoes as you will be walking on cobblestone streets in Porvoo. Excursions listed for a port may not be available for every cruise.